Our company is also the sole representatives of Ashford Formula in Western Australia and the Northern Territory. Ashford Formula is a revolutionary clear sealer and densifier made by CureCrete – USA, whose concrete treatment products have spread throughout the world as a must-have addition to improve, reinforce or repair concrete floors. It can be applied at the time of concrete pouring to help the concrete curing process, or applied to existing concrete to help harden and protect it. 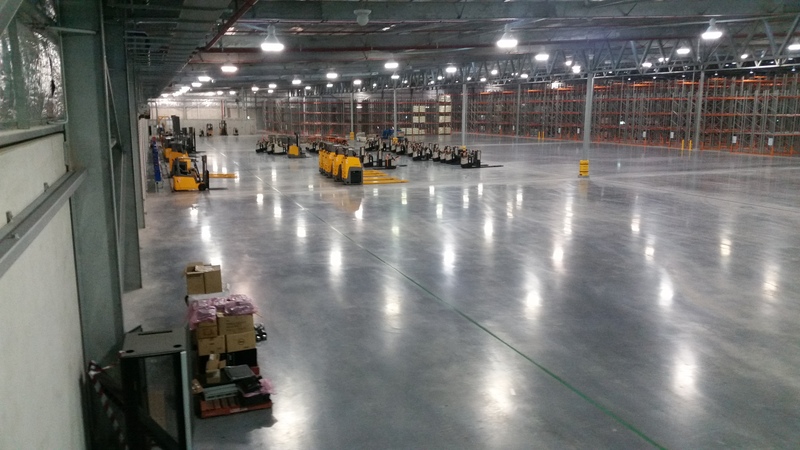 Ashford Formula can be applied to concrete hardstands, workshops and warehouses to help prevent dusting and staining. We have applied Ashford Formula to countless new & old concrete slabs, warehouses and workshop floors with consistently excellent results. 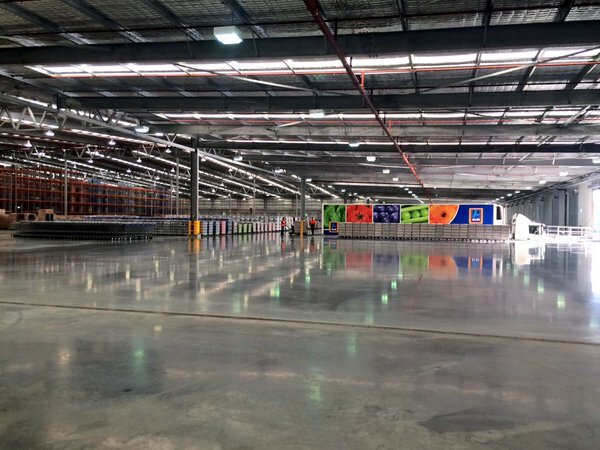 Some examples of our larger Ashford Formula applications would include the 45000m² Aldi Distribution Facility in Jandakot (pictured below), 42000m² Hazelmere Coca-Cola Facility built in 2011. We have also applied Ashford Formula to various large transport facilities such as Linfox and Toll in Hazelmere, Kewdale and Fremantle, with each facility being well over 20000m². All recently built and new Bunnings Warehouse stores specify Ashford Formula. It was also used by Highline and the Galati Group for the Jandakot and Kelmscott Spud Sheds. Ashford Formula is also applied to City Farmers stores throughout Perth, amongst the many, many other projects we have completed. For those concrete areas that need something other than a concrete densifier/sealer, we can also apply a large range of epoxy and protective coatings. 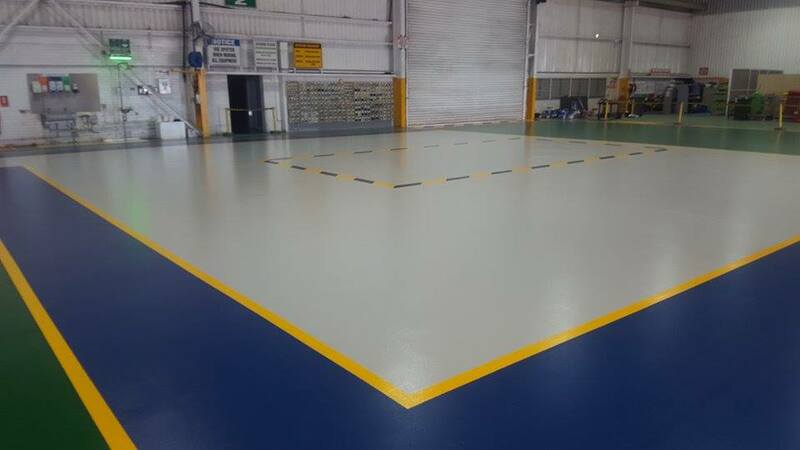 There are many options for epoxy coatings, and some benefits include non-slip additives for walkways/stairs etc, and can give an old, bland workshop floor a new lease on life. Epoxy coatings are hard wearing and we have used them for various heavy machinery workshops in the past. Some of these include the Leighton/HWE workshops in Kewdale and the Volvo Truck Centres in both Bibra Lake and Kewdale (pictured below), hangar floors the the Royal Flying Doctor Service bases in Broome, Port Hedland and soon to be Jandakot. Other smaller examples include Supercheap Auto stores, Auto Masters workshops and Aldi Distribution Facility walkways and stairs. 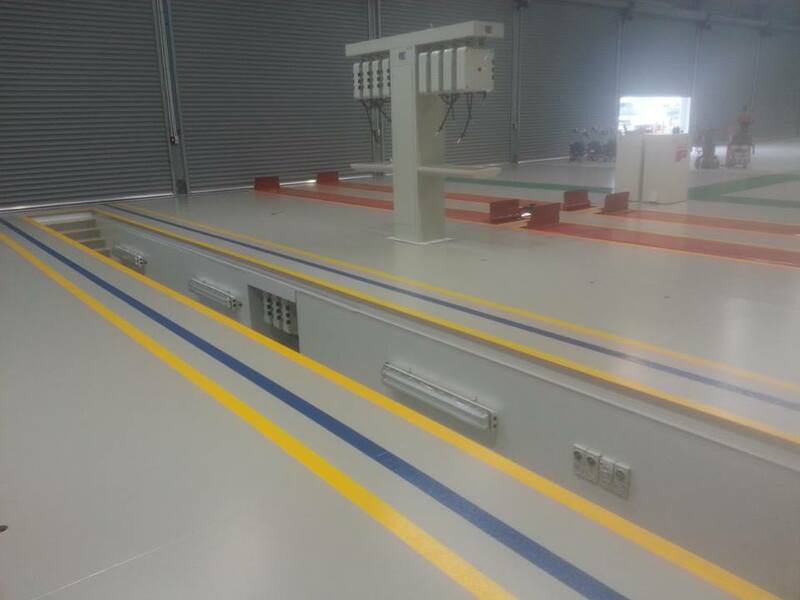 Colours for epoxy coatings are generally chosen from the Australian Standards Colour Selection. 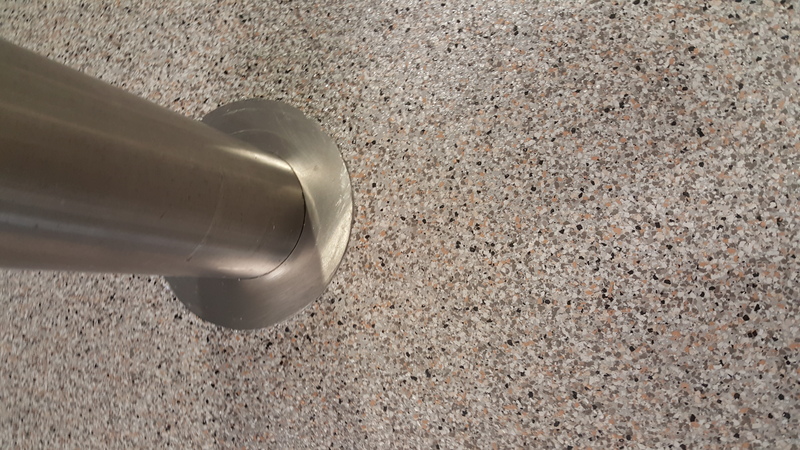 A beautiful look for your garage, office or workshop floors is the Decorative Fleck coating. With such a wide range of colours and sizes of the fleck, and a multitude of paint colours to choose from, there are endless possibilities for achieving a stunning look for your tired or plain concrete floor. After preparation, the concrete has two coats of epoxy in your chosen base colour, followed by a broadcast coat of the chosen Flecks. Once dried, the excess flecks are removed and two coats of hard wearing sealer are applied to protect the flecks and give a beautiful deep look. 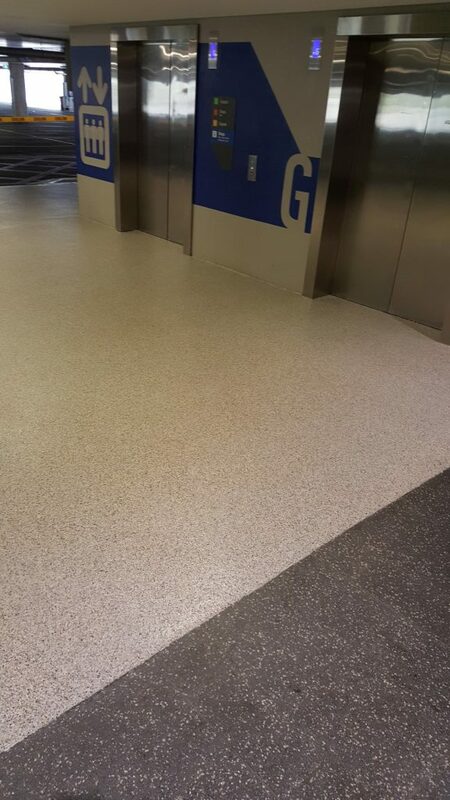 For more photos of our floor sealing, painting and resurfacing capabilities, please see the photos in our gallery.